Is it Taxes or Opportunity that Cause Migrations? QUESTION: The invasion of children from the Mexican perspective is to have a better life. The U.S. perspective is all these people do not pay taxes and take jobs. Is this common throughout history? ANSWER: The Mexicans are not coming here because of taxes but for OPPORTUNITY. Americans are complaining they do not pay taxes and take jobs. Obviously, this is just the surface of the issue. It is always economics not taxes that have been the great stimulant for migrations if we define that as survival regardless if there is a government or taxes.Taxes have some impact on movement as in multinational movement of capital today to avoid taxes, but by no means is this the issue in a grand sense at the individual level for migration. The old saying the streets are paved with gold was common during the 19th century because of the gold discoveries in California and Alaska and this helped to fuel the mass migration from Europe among the Italians and Irish in particular. So their expectations were the same – opportunity. They were not fleeing taxes. Keep in mind that income tax was a 20th century phenomenon and that did not even impact the average citizen until after World War II. So taxes in that sense are like global warming, a modern impact at the mass level. Yes taxes became abusive in Rome and resulted in people just walking away from their property. But that was not just taxes, it was the breakdown or society and security that went hand-in-hand. Historically, the reason for migration has always been opportunity. 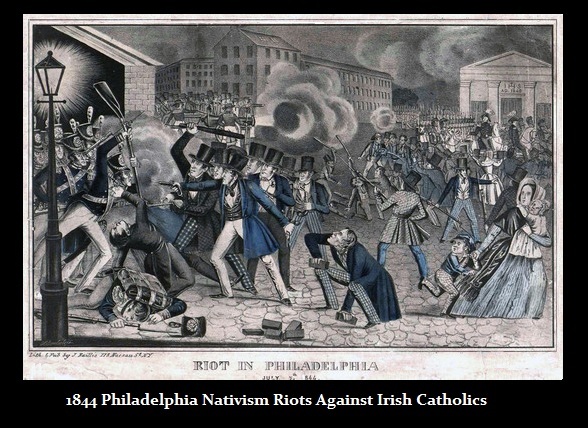 The trend toward nationalism where people are against the immigrants is common throughout history just as the riots in the mid 1800s against the influx of Irish. This emerges during economic declines where domestic people see few jobs and then blame immigrants for their hardship even when there is no actual direct evidence as is the case with the Mexicans today. Nevertheless, the terms applied to crime in the USA such as someone is a “hooligan” is a derivative of an Irish name Holigan that has survived from that era of social riots of the 1840s. 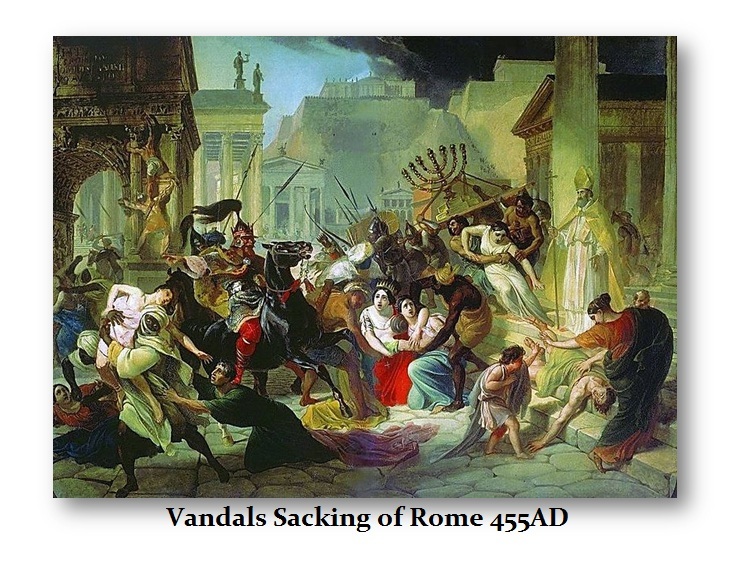 The term “vandal” refers to the Vandals who invaded Rome and stole everything they could. This type of resentment against the Mexicans may be excused with taxes to justify the reasoning, but in reality it is the economic decline and not actually taxes. It is consistent throughout history. Even in the stone age they did not take kindly to new tribes moving into their territory for better hunting. There is evidence of war extending back a very long time. This is why I say that IF the REASONING is taxes, which it is only a justification, then eliminate income tax and go to consumption tax and it does not matter who is here – everyone pays. After all, that is how taxes were before Marxism for thousands of years. Then you will see the real reason for migration is opportunity from the immigrant’s perspective and competition for resources from the domestic perspective, This always emerges during an economic decline in lean times. People always blame the economic decline in jobs on immigration the same as a decline in scarce resources in ancient times – competition.